Upon your arrival, we will be there to welcome you and provide you any information and tips you will need to explore Syros like a local. 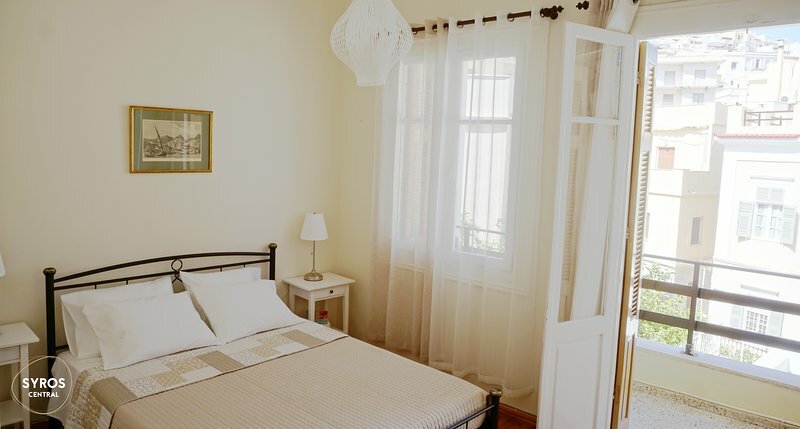 The quiet and friendly neighbourhood is the ideal location for relaxation and leisure, while in a 5-minute walk you can access a variety of restaurants, shops, banks, pharmacies, post office, cafe and bars, as well as, some of the most popular sights in Syros. The port of Syros and the bus terminal station- from where you can catch a bus to island's beaches- are less than 600 metres away. In case you prefer a taxi, the closest taxi rank is just 120 metres from the apartment. The way to the airport takes about 10 minutes by car.